This photo is the perfect depiction of how my day has gone so far. The old addage says, "There's no use crying over spilled milk." 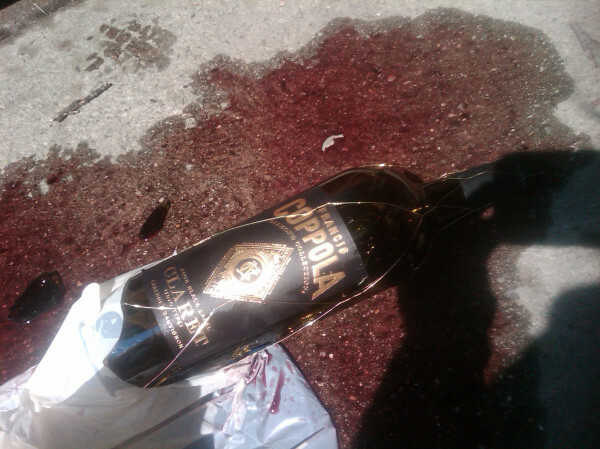 Well, there are plenty of tears worthy over a shattered bottle of Francis Coppola Cabernet Sauvignon. After a horrific day of work, I went out of my way to buy this beautiful bottle. And the wine came tumbling after. And then, the bees swarmed. I hate you, Mercury retrograde.